Whether your car has broken down in this part of the city or you have a truck that needs to be towed from here to another location, we can help. We offer a comprehensive range of vehicle breakdown and car accident towing and recovery services to clients in Osborne Park and across the Perth metropolitan area, all of which are very competitively priced. Because we specialise in breakdown recovery and vehicle transportation, we are able to provide an unrivalled level of service to our customers in this part of the city and will always be there when you most need us. If you are in the need of a tow truck in Osborne Park, please do not hesitate to call us on 0410 471 056 for assistance. We provide prompt assistance to private individuals in need of towing in Osborne Park on a daily basis. If your car should break down and you are left stranded at the side of the road, simply call Executive Towing Services and we will respond in a timely manner. We are proud of our record of achievement as far as helping local residents is concerned and look forward to assisting many more people in this part of the city in the future. We are also the chosen towing company for many owners of performance vehicles who would like to move their pride and joy without the risk of any damage and if you own a custom-built sports car with lowered suspension we can move it for you very carefully, safely and efficiently and will treat your vehicle like our own. In addition to our emergency breakdown service for local customers, we also provide roadside assistance if you have either run out of fuel, have a flat tyre, locked your keys inside the vehicle or you have a dead battery, we have the experienced and knowledgeable personal and tools to assist you in this situation, contact us and we can provide more information on what roadside assistance services we can provide. We have many commercial clients in Perth, a number of who are based in this part of the city. If you are a local business owner who needs a tow truck in Osborne Park, whether on a one-off or repeat basis, it will be our pleasure to be of assistance. From single vehicles to large corporate fleets, we have the equipment and trained operators to keep your company on the move. We have tilt tray tow trucks that can tow heavy plant and machinery, including bobcats, forklifts and scissor lifts, so whatever your needs may be, please feel free to get in touch and discuss them with us at your convenience. As you would expect of a company that specialises in towing for Osborne Park residents and those in other parts of the city, all of our tow truck operators are fully qualified and licensed, and have many years of experience. What this means to you as our customer is that you can rely on us to provide you with a highly professional service at all times, meeting all of your vehicle transportation needs at very affordable rates. For detailed pricing or further information on any of the services that we provide in the area, call now or use the contact form on our site. Osborne Park is a suburb of Perth Western Australia and the local government area is the City of Stirling. 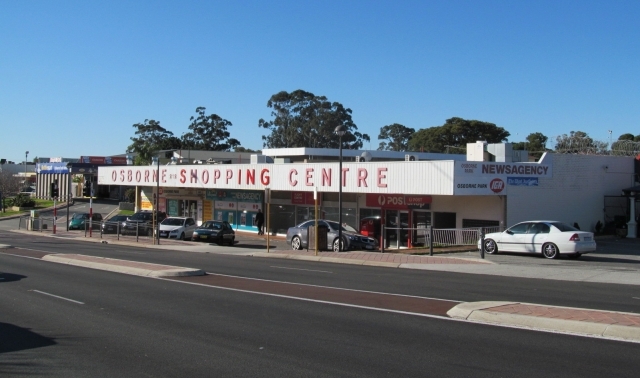 Osborne Park has a small residential and large commercial area with a mix of small businesses, large retailers and car yards.